Blog Paws for Story Time. 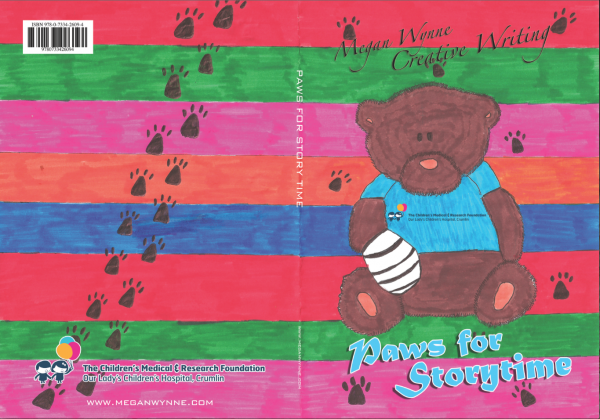 Our collection of stories to be published this November will be entitled, PAWS FOR STORY TIME. All of the children, teenagers and adults who attend my writing classes have been invited to submit a story, and we will launch our gorgeous book on 9th November in Ardgillan Castle. It will be sold in aid of Crumlin Children’s Hospital. Everyone is welcome. Here is a picture of the beautiful cover which uses a picture created by Hannah Rudden age 13.